The Defense Department looks to trim military equipment production, research and development programs during fiscal 2017 in a bid to maintain readiness levels and end strength, Defense News reported Sunday. Aaron Mehta writes DoD officials have indicated they will make program cuts to manage a $15 billion gap between the funding level that the department sought and Congress approved for the next fiscal year under a budget agreement with the White House. 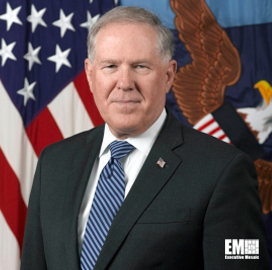 “The disproportionate hits on  are going to be on modernization,” said Frank Kendall, defense undersecretary for acquisition, technology and logistics. “I think that will probably be more on production than R&D,” he added. He told Defense News last week the department prioritizes the U.S. nuclear triad that will consist of Ohio-class submarines, intercontinental ballistic missiles and long-range strike bombers in its new budget plan. Mehta said DoD could target savings from efforts to procure military aircraft such as AH-64E, UH-72, V-22 and F/A-18 platforms.